With the new LDP-C series, you have all options available to safely operate high power laser diodes with a different power level and a pulse width of from cw to 1 μs. 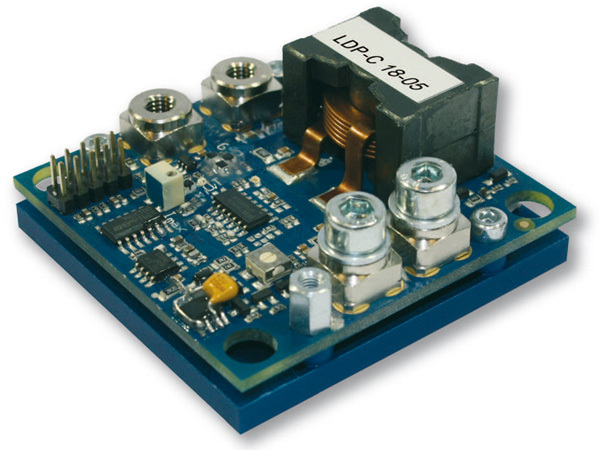 The extremely small and inexpensive driver boards are optimized for modulation of up to 500 kHz. The different TO housings that are available for HP laser diodes can be connected to the board without a problem. The unit is, therefore, very easy to use; in fact, it only requires a supply voltage of +12..15 V and a trigger signal. External components such as, for example, driver interfaces, are not required. This combination of HP laser diode and driver module is used in medical technology, process engineering and testing technology, material processing, and printing technology.